Walt Disney, the creator and voice of Mickey Mouse, producer of world’s first animated film and one of the best known motion picture producer in the world. Disney was born on December 5, 1901, in Hermosa, Illinois. He was one of five siblings. His family was so poor that he had to deliver 1300 newspapers a day. Then his father would take away all the money. His brothers ran away because they were fed up with the hardships at home. At very young age, he started to draw and paint, and sell pictures to relatives and neighbours. Then he attended drawing and photography classes in McKinley School, Chicago. He also made cartoons for the school paper. He served as Red Cross volunteer in World War I. At age of 19, in Kansas City, Walt started his lifelong dream, his own animation company in 1920. He had little money that he had to live with friends. But he failed to sell a single cartoon and his company went bankrupt. He worked as cartoonist in a newspaper and the newspaper editor fired him claiming him lazy and person without any creativity and imagination. To pusue his childhood dream, he left Kasana City to Hollywood. He started an animation studio in an old garage. He worked for next 5 years without any income. Mr. Walt finally tasted success with a short film “Alice in Cartooonland” and “Oswald the Rabbit” in 1928. But he lost the copyright to his own characters in 1928. Walt’s life was miserable at that point of time. He did not have any place to live and little money for food. But all the adversities he had in his life, strengthened him even more. Again the cartoonist tried with a new character. But again audience was not impressed with his film. Still he made a second film. But couldn’t find a distributor. Finally in third attempt, he got success. His character Micky Mouse became a hit and brought great game to him. He dreamt of it and and made it reality. Now Disney wanted to make a feature length animated film in 1934. Everyone said it was a bad idea. The movie took three years and cost equivalent to $25 million today. Because of this Walt ran out of money. He had to mortgage his house. The movie “Snow White And Seven Dwarves” was considered a masterpiece. It made $134 equivalent of today. The movie was most successful film in 1938. Following the success, he started working on different characters of Donald Duck, Mickey Mouse, Goofy and Pluto Cartoon Series. 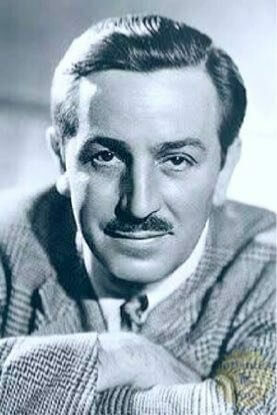 He opened Walt Disney Studios in Burbank in 1939. In 1955, he opened the Disneyland Theme Park, which is famous in all over the world. Walt Disney was nominated for 59 times and won 22 Academy Awards in his life. Both numbers are record even today. He received seven Emmy Awards for his great work. The credit for Golden Age of Animation goes to his hard work and creativity. In 1966, he left this world because of lung cancer. But he gave the gift of entertainment to the children of all over the world. He tasted failure many times but he did not quit. After falling down, he got up with lot more energy because of his patience and hard work. He believed in his dream unquestionably and worked hard for the same.